Click here for The History of Cockades, Part 1. At the beginning of the American Revolution, General George Washington had a problem. The Continental Army did not have uniforms, which made it hard to tell the officers from the privates, to tell who was in charge, and to tell who was doing what job. The English military was fully outfitted, though. And boy, did the English officers look good. 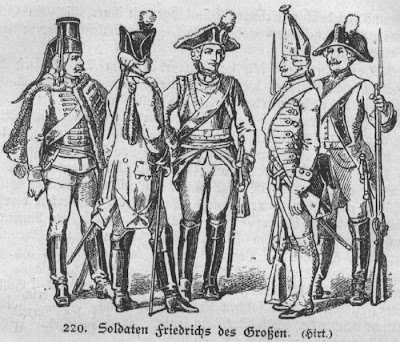 Officers were wealthy by definition, so they could afford to buy fantastic uniforms. It's hard to imagine now, but at the time, officers wore bright colors so that other people would avoid shooting them. It was an agreement between the officers of opposing armies- officers can shoot the troops, and the troops can shoot each other, but nobody shoots officers. 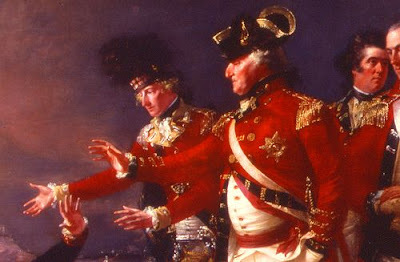 Luckily for the Americans, who had no such scruples, the British red coats made excellent targets. Basically, he put little flags on everybody's head that said "I'm this guy," "I'm that guy." It was like semaphore on a hat. A whole uniform was condensed into a little bit of shorthand that was cheap and easy to see in a crowd. Brilliant. 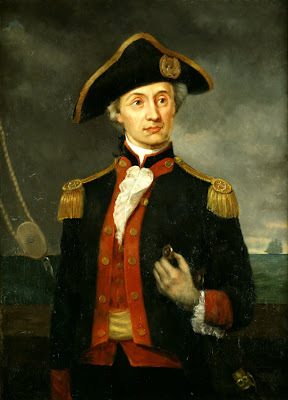 The Americans' use of colored cockades on hats to signify status wasn't an original idea, as the Europeans had been using cockades to the same purpose for a while, but it did mark a jump forward in the politicization of the wearing of cockades: here, they weren't just being used as a frill to decorate your hat, or a code to designate your rank, but also as a badge of rebellion. Using the trappings of the established European military culture to make farmers into soldiers, to organize the revolution, to break away from the mother country by imitating it, to put a legitimate face on what was, essentially, an act of collective crime on a massive scale. It was a big job for a few bits of fabric. But this wasn't the first time, even, that cockades had been used to signal rebellion. 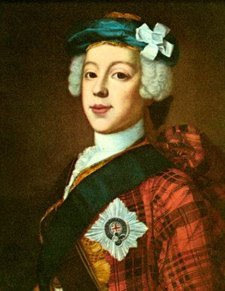 In the mid-18th century, Stuart heir "The Great Pretender" Bonnie Prince Charlie and his doomed Jacobite followers wore white cockades to signal support for his claim to the British throne. Jacobite women (like the lovely Flora MacDonald, below) had their portraits painted with the emblem of the Stuarts, a white rose, and white cockades were worn by guys for the same effect. Different colored roses and other plant-based emblems had been used to signify family associations for centuries, but this was unusual in that it was one of the first times (if not the first) that cockades were worn to signal a political association, rather than mere military rank- and an unpopular and technically illegal one, at that. Toward the end of the 18th century, cockades were taking on more and more force as a symbol of political allegiance. And when the Sneeches start taking their starred or not-starred bellies so seriously, things get ugly. Next up: France goes cockade crazy.